Dragon Dance gives players the chance to celebrate Chinese New Year all year long, but just what else does the slot offer? It has the traditional five reel and three row setup and boasts 243 different ways to win. The top jackpots available through the base game are pretty generous compared with other similarly formatted games and can be nicely enhanced by the game’s free spins. 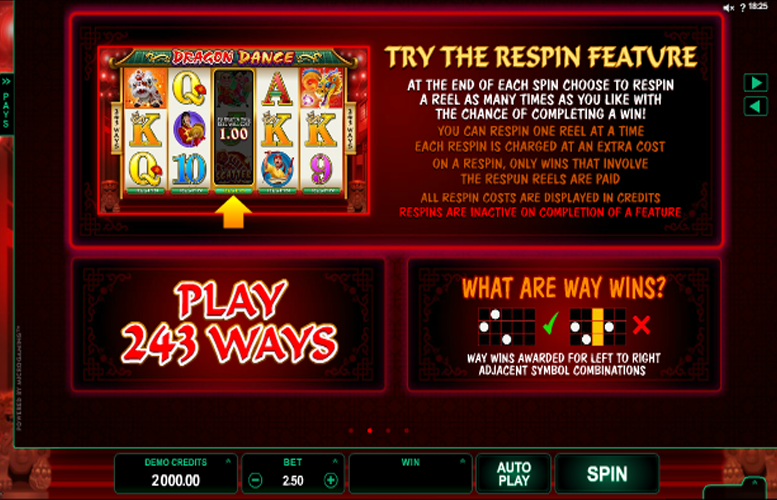 Aside from those free spins and a Respin Feature, however, the slot id disappointingly devoid of other extra features. That probably makes it a game for those players who either like simpler slots or who are only concerned with jackpots and aren’t bothered about gameplay. 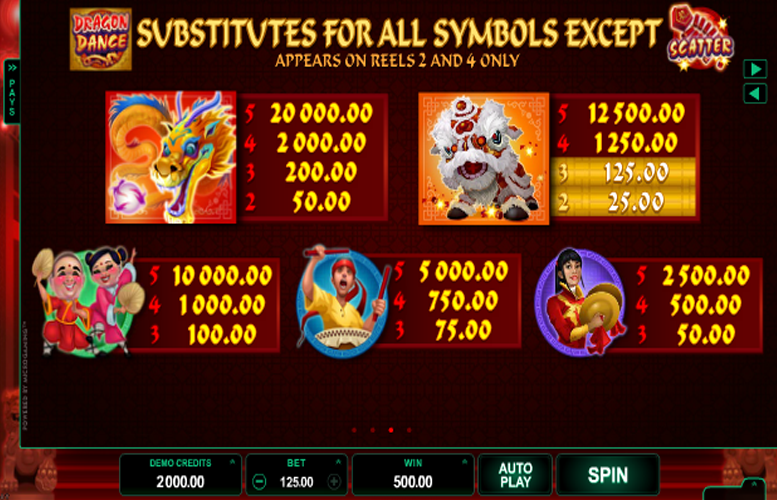 Dragon Dance’s most valuable symbol combinations pay out at a higher rate than you find with most similar, 243 ways to win formatted slot games. The slot’s Chinese New Year theme is a fun and unique one, which means that players can enjoy attractive symbols, nice graphics and a soundtrack which – unlike others that are around – won’t drive you crazy after a few minutes. 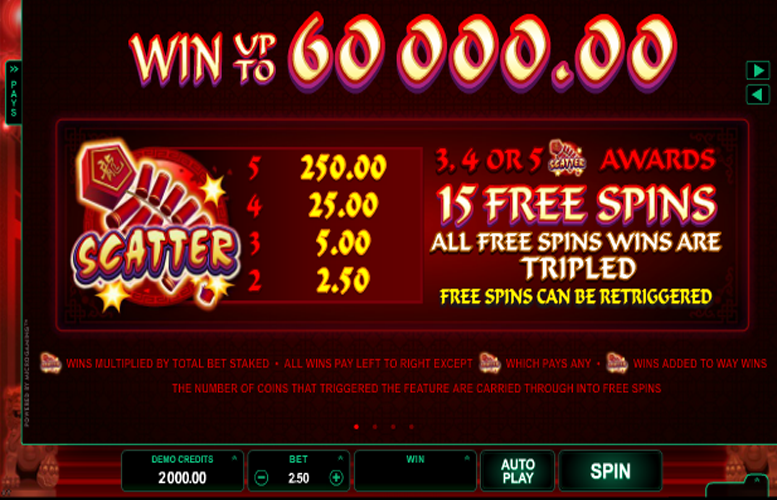 All wins achieved during the slot’s free spins are subject to a really handy 3x multiplier. That means the already decent jackpots are enhanced still further. Other than a respin feature and the aforementioned free spins, Dragon Dance is lacking any other additional gameplay features. 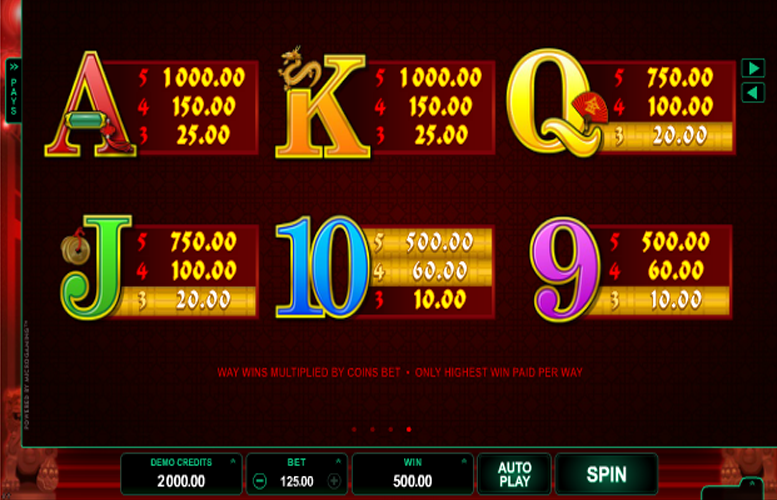 The slot, therefore, can get a little repetitive and somewhat dull to play. Whilst the slot’s theme is an original one, there could have been a lot more done with it. Symbols are attractive but a little unimaginative and there could easily have been a well-themed side game included to liven up gameplay. During the free spins round this slot boasts a top jackpot of up to 60,000 coins, so that’s really what you want to trigger as opposed to the regular symbols. Unfortunately, especially given the potential opportunities afforded by Dragon Dance’s theme, the slot does not include a bonus round or side game. It does, however, have a potentially very handy Respin Feature. That feature allows a player to pay to spin one reel again after their initial spin has landed. The reel can be respun as many times as a player wants and subsequent winning combinations created, which involve the respun reel, will be paid out in additional to any original winnings. If three, four or five of the Chinese Fireworks Scatter symbols appear on the reels at once, 15 free spins are triggered for the lucky player. Further free spins can be retriggered in the same way whilst the initial 15 are ongoing, and all wins achieved during free spins are subject to a very tasty three times multiplier. When they want to alter the amount they’re betting per Dragon Dance spin, players can change both the coin value and the number of coins bet for each spin. Every option from one to ten coins can be selected and there are a variety of coin value options between the minimum of 1p and the maximum of 50p. As the slot is a 243 ways to win format rather than a game with a set number of paylines, a 25x bet multiplier is then always applied to each spin. That makes the minimum possible bet just 25p and the maximum a total of £125. Dragon Dance is a slot game which excels in certain areas but is severely lacking in others. Dealing with the positives first, the game has an original and fun Chinese New Year theme which features attractive images and a nice soundtrack. Perhaps more importantly, too, the slot’s payouts are more impressive than many 243 ways to win format games and are fully trebled during the game’s free spins. 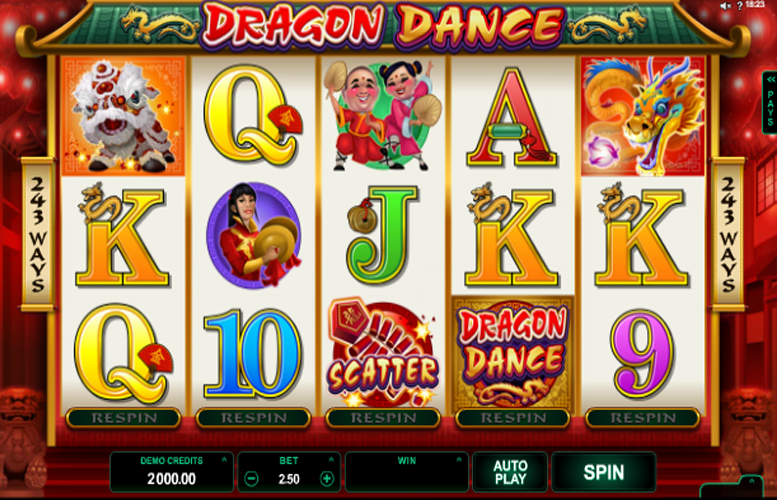 Away from those free spins and a Respin Feature, however, Dragon Dance is entirely lacking in other gameplay features. That is the slot’s primary weakness and means that it is far less immersive than most similar slots and can get quite repetitive and a little boring after not that many spins. This game has a rating of 3 / 5 with 284 total reviews by the users.